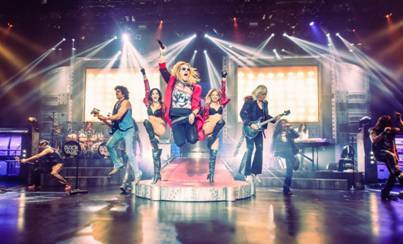 Raiding the Rock Vault was voted as readers’ choice for “Best Musical” (2014, 2015) and “Best Tribute Show” (2016) inLas Vegas Review-Journal’s Best of Las Vegas Awards and has consistently been ranked the No. 1 performance in Las Vegas on TripAdvisor. Raiding the Rock Vault tells the story of classic rock from the 1960s to the 1980s and is performed by members of some of the greatest rock bands in history.